Tickets can be purchased at face value in advance or on the day of the show at the venue Box Offices. Bookings online or by phone will usually incur additional ticket fees or transaction charges, for which All Star Wrestling have no control. In view (l to r): Doug Williams, Oliver Grey, Phil Powers and Dean Allmark. ALL STAR present their last wrestling event of a crowded 2018 tour programme at The Woodville, Gravesend, on Friday 30 November when Kent-based star Doug Williams makes his final appearance before calling time on a distinguished career spanning three decades. 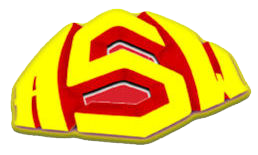 In a match that should provide a fitting career climax he faces an accomplished opponent in the shape of Superslam title holder Oliver Grey from Devon. 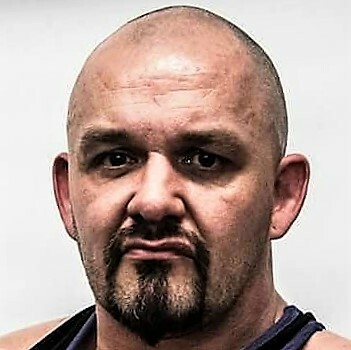 Although he took up judo in his school days at the age of 11, Doug’s attention switched to wrestling with a professional debut at 19 following tuition with the Hammerlocks Training school operated by Kent wrestler and promoter, the late Andre Baker. 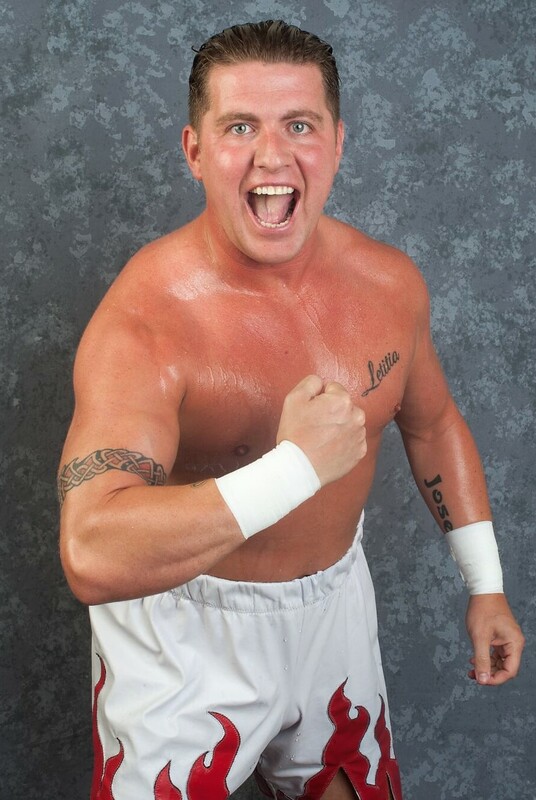 His progress was impressive and consistent and, apart from home events, Doug appeared in the United States for Ring of Honor and TNA before starring in Japan for Pro-Wrestling Noah. Now into his second year as Superslam number one, Exeter-based Grey also made his mark on the other side of the Atlantic with the WWE development territory NXT and has maintained this blistering form since coming home in 2017, succeeding in ending the Superslam reign of American invader Harlem Bravado. Starting at 7.30, the Gravesend line-up also includes a mixed tag team clash (see below) with further contests pitting 21 year-old Londoner Josh Faulkner against Essex force Phil Powers, who has been widely known as the ‘White Van Man’ since appearing in the popular Channel 4 hit programme. Top favourite Dean Allmark from the Wirral faces a mystery opponent whose identity will only be revealed in the ring on the night when wrestlers for a fifth and final match will also be announced. Pictured (l to r) Xia Brookside and Sean Kustom, Lady Lory and Lord Robin. KENT wrestling hot spot Gravesend, The Woodville will also feature an intriguing mixed tag match on Friday 30 November when one of Europe’s most feared combinations, Lord Robin and Lady Lory, face fresh challengers in the form of a team consisting of England’s teenage diva Xia Brookside and her fiance, Australian globetrotter Sean Kustom. After starting wrestling under his real name Robin Lekime, the always aggressive Belgian-born campaigner became Lord Robin after linking up with Lory, already a well established ladies contender. 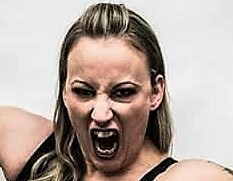 Born in Bremen, Germany, she has appeared all over Europe and came into her own after first linking-up with Robin as a highly unorthodox valet and manager before joining her man in tag team contests. Xia Brookside, step-daughter of current WWF coach Robbie Brookside, made herself a teen sensation and quickly spread her wings to campaign in the United States and more recently Japan. Her first outings sharing a tag rope with Sean Kustom took place last summer and they became an immediate hit with fans. Before coming to England, Sean earned himself the nickname ‘Swagzilla’ while going through more than 720 days without suffering a competitive defeat. The five bout Gravesend bill starts at 7.30pm and tickets including a £45 family offer covering two adults and two children 16 or under are now on sale at The Woodville box office, telephone 08442-439-480. AFTER his October personal appearances at a succession of All Star Wrestling events, Kendo Nagasaki is continuing efforts to raise money for the Lee Rigby-Kendo Nagasaki Foundation in memory of the fusilier shot and murdered in South London in 2015. 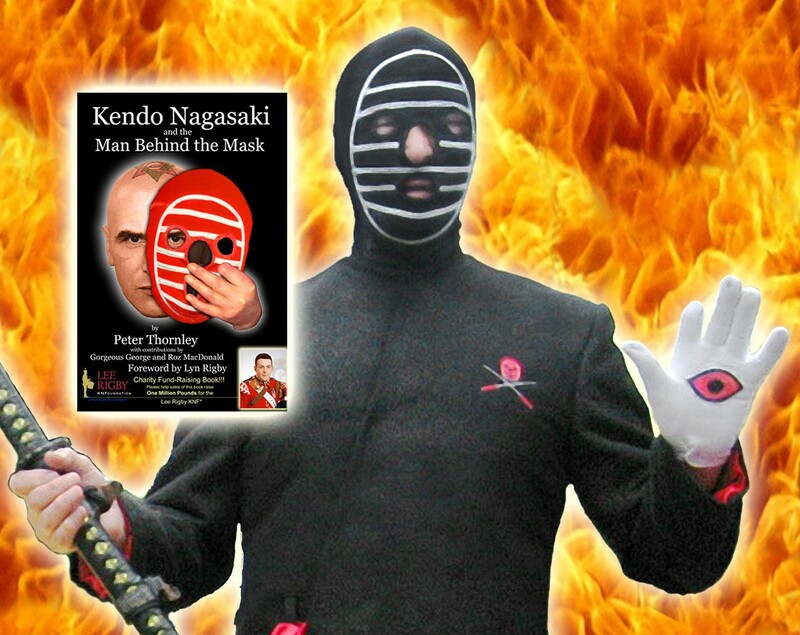 The target is for the autobiography ‘Kendo Nagasaki and the man behind the Mask’ to raise a total of ￡1 million and publication has received major support from Lee’s mother Lyn Rigby who accompanied Kendo during his All Star venue appearances. The book will make a perfect Christmas gift for any wrestling fan and copies personally signed by Kendo and Lyn can be ordered from All Star at 81 Fountain Street, Birkenhead, Wirral, CH42 7JD at ￡19.99p plus ￡3 post and packing. Cheques should be made payable to Housefull Productions Ltd. and books will be dispatched on the day the order is received. ALL STAR will welcome 2019 with five January shows after a bill originally scheduled for February at the Playhouse Theatre, Epsom, was brought forward to to Friday 18 January. There will also be action on Friday 18 at the White Rock Theatre, Hastings; on Saturday 19 at Salisbury City Hall; Sunday 20 at the Princess Theatre, Torquay; and Friday 25 at the Floral Hall, New Brighton, all events starting at 7.30pm. Tickets are on sale now at the venue box offices and will make cracking Christmas presents for fans. Then an 11 event February run starts with a Saturday 2 date at the Broadway Theatre, Catford, South London, a return with a 6pm bell-time to the venue that hosted All Star’s first ITV ‘World of Sport’ presentation. Full details can be found in the Events section of this website.